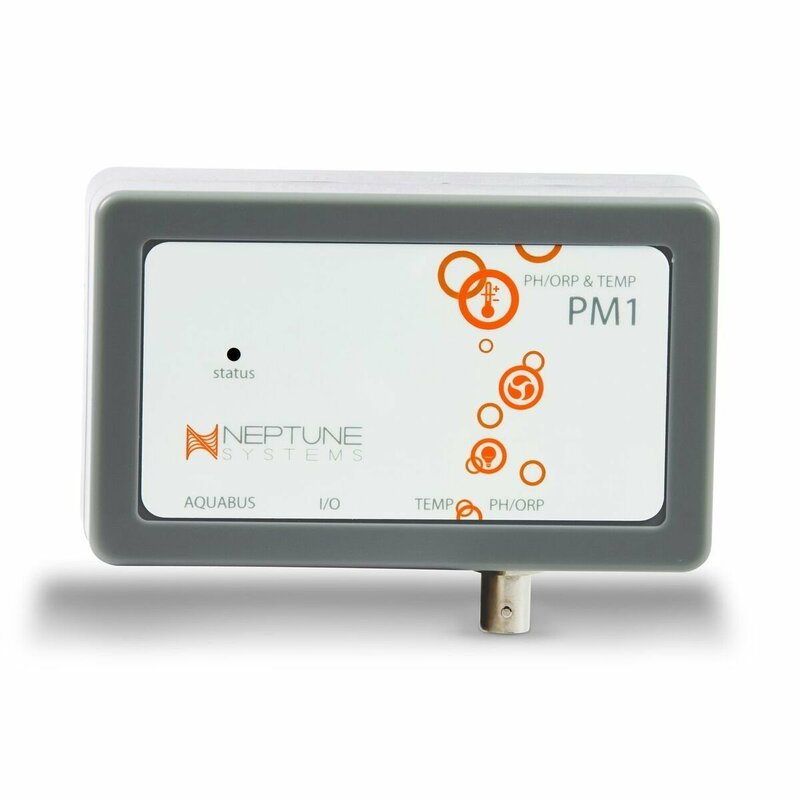 The PM1 probe module is just what you need if you want to monitor pH or ORP in your tank. And, there is an added bonus, you get an extra temperature port as well as six I/O switch inputs for use on ATO, feed buttons, leak alarms or whatever else you may come up with. This module is perfect for someone that wants to add an additional pH or ORP port to their Apex System. 4 in 1 goodness with this module! Looking for something for your saltwater aquarium? We either have it in stock or we can get it FAST! !